Passover is right around the corner which means for many, it’s time to break out the kosher wine. 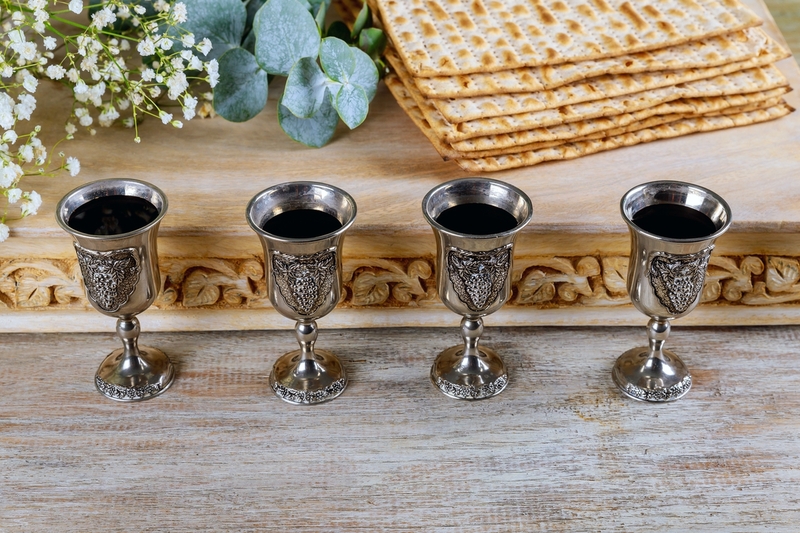 In addition to Passover, kosher wine is used in a number of Jewish rituals including circumcisions (Bris Milah), the wedding chuppa, and the Kiddush that starts all Sabbath and holiday meals. But what exactly is kosher wine and is it all that different from non-kosher wine? As someone that loves to learn about all things wine, I was curious to learn more. A kosher wine can be identified by the certification it bears from the rabbi who supervises the winemaking process from start to finish. Recent years have seen increased demand for kosher wines. Whether for religious purposes or otherwise – this demand has prompted production from vintners in new countries such as South Africa, Chile, and Canada, in addition to traditional sources such as Israel, France, California, Spain, and Italy. But what does it taste like? First, kosher wine is found in various styles from almost every grape variety and in every price point from $5 to $500. Additionally, it is made in precisely the same way as ‘regular’ wine. And it tastes like – wine. Yes, wine. “When it comes to taste, there’s no difference between kosher and non-kosher wine,” says Jay Buchsbaum, Executive VP Marketing and Director of Wine Education at Royal Wine Corp. – the top kosher wine purveyor in America. “In fact, many kosher wines are award winning – beating out their non-kosher competitors for top varietal prizes, including Cabernet Sauvignon, Chardonnay and rosés as well.” Heck, one of the most popular Moscatos in the U.S. (Bartenura Moscato) is a kosher wine. I have to admit that I was quite surprised when I started looking though Royal Wine’s selection of wines. Their offerings including popular brands like Laurent-Perrier, Château Guiraud 1er Cru Sauternes, Château Leoville Poyferre and Château Pontet-Canet amongst other more traditional producers of kosher wines. Who knew?! So if you’re preparing for Passover or just want to try your hand at some kosher wines, there are a number of places online and locally to buy. Online retailers include KosherWine.com, JWines.com, OnlineKosherWine.com, and SkyViewWine.com. Even checking locally in my hometown of Houston, Total Wine and Belden’s Food Market have great selections of kosher wine. I’ll say it again, who knew?! If no egg whites are used. I use this phrase because I see it thrown around the internet all the time. Yes there are people, clubs, companies, etc. that market wines like this, but in reality, there are plenty of producers that make great wine without any of the unwanted “extras.” You just have to know where to look. Of course, there’s plenty of wine out there with extra “stuff” too.